An assortment of fabulous foodie delights and tempting crafty items. Street Food and Craft Night Market running monthly from April - December. 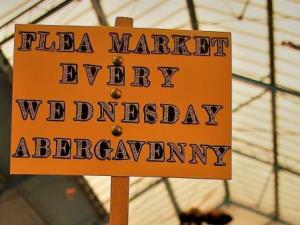 Evening Market held at Abergavenny Market Hall showcasing quirky and unique street food vendors, locally produced artisan drinks, and a wide selection of arts and crafts from around the County. Featuring our popular Open Mic Stage featuring local artists and entertainers. Seating areas both inside and out making this a unique destination for a fantastic night out with friends and family.